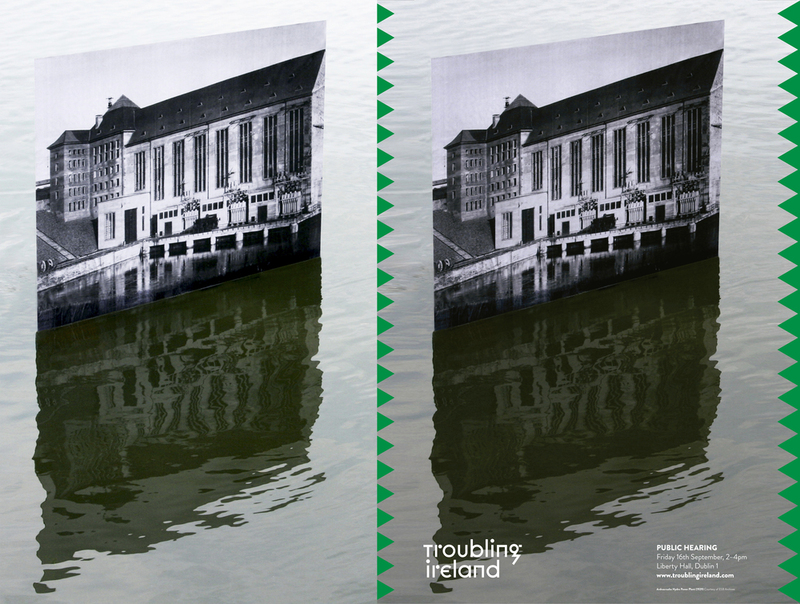 Troubling Ireland is a think tank, a poster campaign & public hearing and a touring exhibition. Commissioned by the Fire Station Artist studios in Dublin and conceived by the Danish curatorial collective KuratoriskAktion the participants are Gareth Kennedy and Sarah Browne (as collaborative partnership Kennedy Browne), Anthony Haughey, Anna Macleod, Augustine O’Donoghue, Susan Thomson and Helen Carey. Archive images reproduced curtesy of ESB archives.